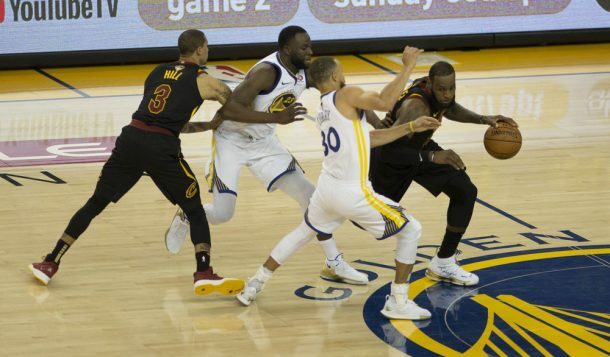 This article includes five set plays from legendary coach Mike Krzyzewski. Coach K is currently leading the United States Men’s National Team in the Rio Olympics and will play Spain in the semifinals. The winner of USA/Spain will play the winner of Serbia/Australia for the Gold Medal. 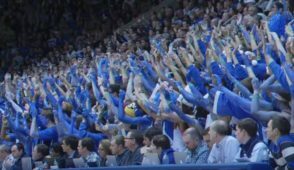 At the college level, Coach K completed his 41st season as a head coach in 2016. In that time, he has won a remarkable 1,043 games and has only lost 321. He has 970 wins at Duke and 73 wins from his coaching days at Army West Point. He has won five NCAA National Championships (1991, 1992, 2001, 2010, and 2015). He has been named the Basketball Times National Coach of the Year Twice, Naismith College Coach of the Year three times, and ACC Coach of the Year five times. He has coached many notable players including: Bobby Hurley, Shane Battier, Chris Duhon, Grant Hill, Kyrie Irving, Jahlil Okafor, and many, many more. 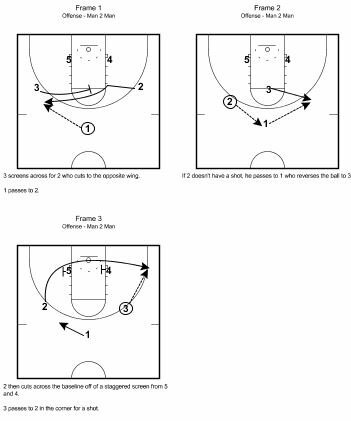 In this 1-4 high set, the ball is passed to the wing and 4 sets a cross screen for 5 at the left elbow. 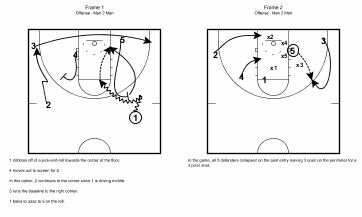 5 curls the screen into the post and 4 turns to set a ball screen for 2 on the right wing. 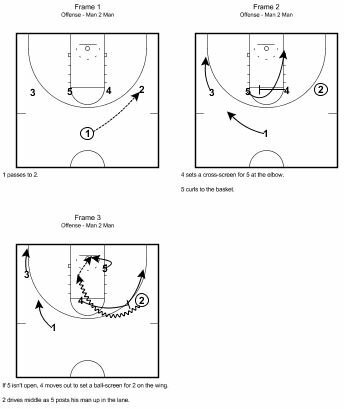 As 2 drives middle, 5 spins inside for a post up. 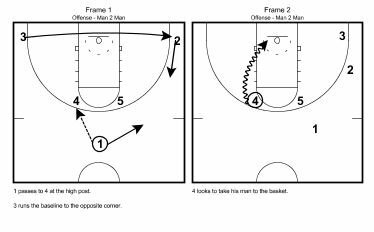 This play gets the guard working around both 5 and 4 at the low posts. 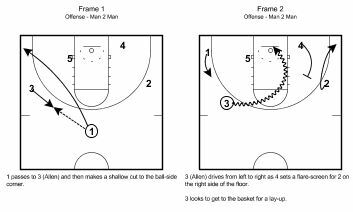 Coach K used this play to get Grayson Allen a quick drive to the basket by running a shallow cut by 1 in front of Allen right before he drives. 1 dribbles off of a ball screen from 5 as 3 runs the baseline. If 5 gets the ball inside and the defense collapses 5 can look to pass to 3 for the kick out. 1 passes to 4 at the left elbow and 3 clears out for 4 to drive.